Conrad Cafritz is the Chairman and Chief Executive Officer of Cafritz Interests and Modus Hotels. He has been a leader in the Washington metropolitan real estate community for more than 40 years and oversees a development and management practice that now encompasses office, hotel, retail, residential, and industrial properties throughout the United States. Mr. Cafritz is the son of Morris Cafritz, who began developing real estate in Washington, DC in 1919 and became the city’s most prolific developer during the mid-20th century. Conrad Cafritz joined his father’s firm, The Cafritz Company, after graduating from Yale University in 1960. He soon established his own company, known today as Cafritz Interests, as well as the affiliated Potomac Hospitality Services, now known as Modus Hotels. 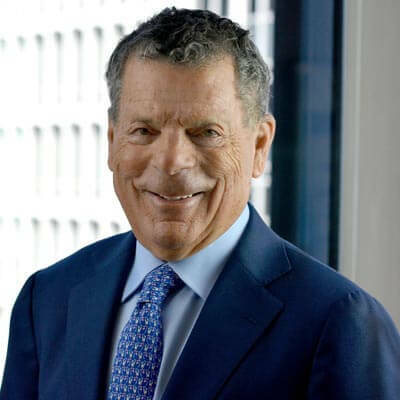 Under Mr. Cafritz’s leadership, Cafritz Interests has grown steadily into a diverse, full-service real estate development company, owning as many as 120 properties representing a value of over $1.2 billion at one time. He has overseen the development of numerous commercial office buildings and thousands of residential properties. A pioneer in modern hotel management concepts, Mr. Cafritz was a pioneer in the development of the all-suite concept in Washington, DC and converted several traditional apartment buildings into full-service, extended-stay facilities. These operations include The River Inn, One Washington Circle Hotel, and The Virginian Suites, as well as the Windsor Hotel in Philadelphia and Comfort Suites in Chicago. Additionally, Modus Hotels is developing POD DC, which will be the first “micro-hotel” in the downtown business district in vibrant Penn Quarter. POD DC hotel is set to open in the Fall of 2016. Mr. Cafritz with the team at Novus Residences is pioneering a dramatically new concept, e-lofts. e-lofts will begin by transforming vacant suburban office buildings to loft apartments and offices. These so-called, LIVE, LIVE-WORK and WORK loft spaces will be joined by attendant, unique communal activity spaces. The first e-lofts to open will be e-lofts Alexandria, in a 14-story, 240,000 sq ft building in the City of Alexandria. e-lofts Alexandria will engender 200 loft live/work spaces opening September 2016. Milestone projects also under Mr. Cafritz’s direction include the 850,000 square-foot Security West campus in Baltimore, MD. The complex, substantially renovated during the late 1990s, is leased entirely to the U.S. General Services Administration for use by the Social Security Administration and continues to be owned and operated by Cafritz Interests. The repositioning of Washington Harbour in Georgetown in 1988 and the first major commercial office development in Washington on a speculative basis after the real estate crash of 1990, 1775 Eye Street, in 1995 were initiatives directed by Mr. Cafritz. Mr. Cafritz is also active in numerous professional, civic, and charitable organizations throughout the Washington region. He serves on the governing board of Management Leadership for Tomorrow, an organization that promotes applications by minorities in the major MBA programs; the Federal City Council; as a long-term board member of PEN Faulkner Foundation, which awards a major prize for fiction; on the Brooking Council; the Woodrow Wilson International Center for Scholars; and formerly on the Photographic Acquisition Committee of the Guggenheim Museum and the advisory committee of the Democratic Leadership Council. Mr. Cafritz is also a member of the Sterling Fellows at Yale University and the Aspen Institute Fellows. 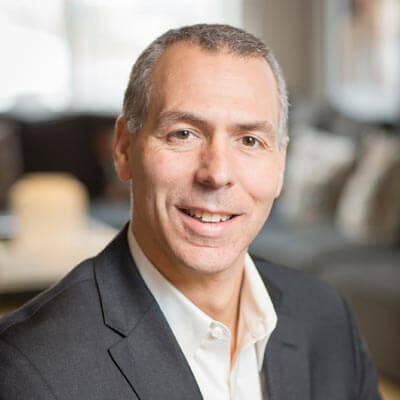 Aaron Katz brings over 20 years of diverse professional experience to his role as President and CEO of Modus Hotels, an owner, operator, and development company headquartered in Washington, DC. 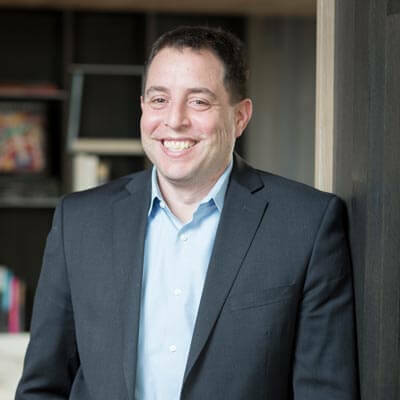 With a joint JD-MBA degree from Georgetown University, Katz’s experience runs the gamut from tax accounting at Arthur Andersen, to advising Fortune 500 companies on mergers and acquisitions as a strategy consultant. His career in hospitality began while leading brand management and strategy as Vice President at Choice Hotels, the world’s second largest franchise company. As President and CEO at Modus Hotels, he has overseen and spearheaded a cohesive brand strategy and acquired and/or developed seven hotels since he took the reins in 2007. Modus Hotels, and NOVUS Residences. His responsibilities include the management of the firm’s accounting professionals, the direction of all financial aspects for the company, risk management activities, and strategic leadership. He is proficient in all aspects of financial services related to the real estate and hospitality industries. Mr. Gollance has over 20 years of real estate and hospitality experience working with major corporations and accounting organizations. Prior to serving as CFO of Cafritz Interests, Mr. Gollance was a Vice President at Marriott International, where he led several hotel acquisitions, dispositions, refinancing projects, and restructurings and formulated operational improvement plans for the properties. Prior to working at Marriott, he worked at Cushman & Wakefield, Inc. in New York City in the firm’s asset management group. Mr. Gollance earned a Bachelor of Science degree in Business from the University of Michigan and an MBA from the University of Maryland Robert H. Smith School of Business.